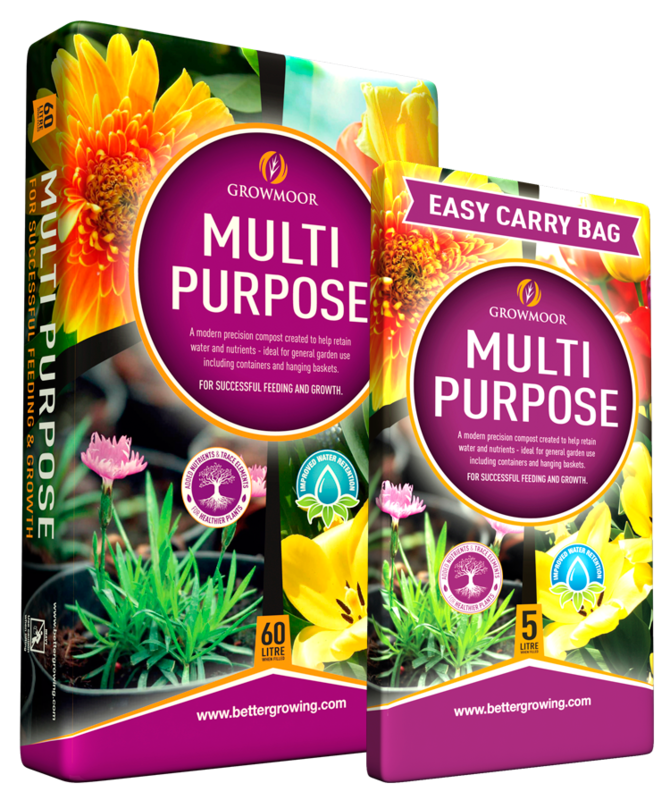 Our Growmoor Multi-Purpose is ideal for general garden use. With superb fertilisation and water retention capabilities, it promotes strong, healthy, longer lasting plants. We have it available in 80L, 60L, 40L, 20L and 10L bags and now also available in a NEW 5L Easy Carry bag. Please ask for details! Copyrights © 2016 All Rights Reserved by Better Growing Ltd.